Catalog | Uniform Rentals, NYC | W.H. Christian & Sons, Inc. Here is your selection of uniforms. 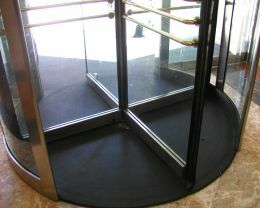 . .
Only the finest quality pyramid rubber mat is used for the floor of the recess area in and under revolving doors. The mats are of all rubber construction. Beveled edges are used for the curved entrance area of the door. In a recess application square edges are used for a snug fit. We will also vary the type of edge according to your specifications. Three different types of perforations are available, or no perforations at all if desired. 3/8 inch thickness is the most common mat thickness and all the mats need to have a template or pattern made to insure an exact fit. 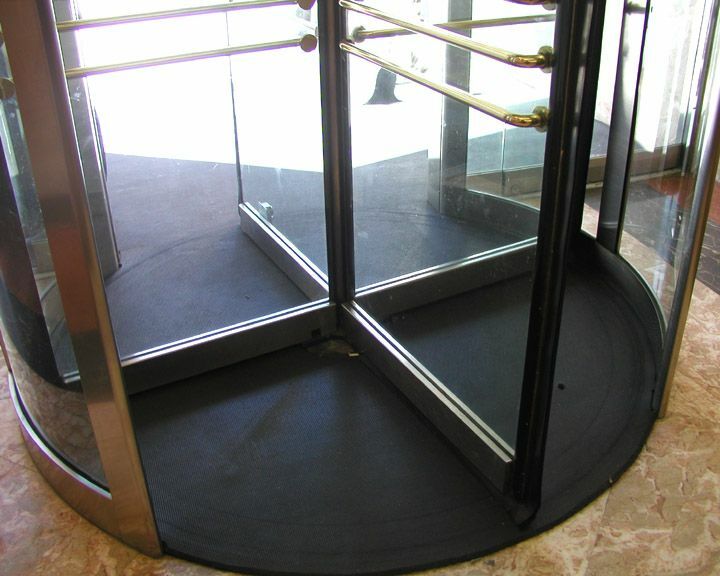 We will make the template for you, and take care of all the details of your custom made pyramid revolving door mat.